We're seeing places long gone, our old friends and hearing their calls on those old streets, we're remembering ballgames, fires, and we are all as alive as ever knowing we are from Belleville. When that little Facebook group, You know you’re from Belleville, NJ, if you, went pop, it might have been looked at as a flash in the pan when the group exploded from about 600 members to nearly 2,000 in a day or two. Strange things like that do happen on the Internet and it’s often hard to find what triggered the event. 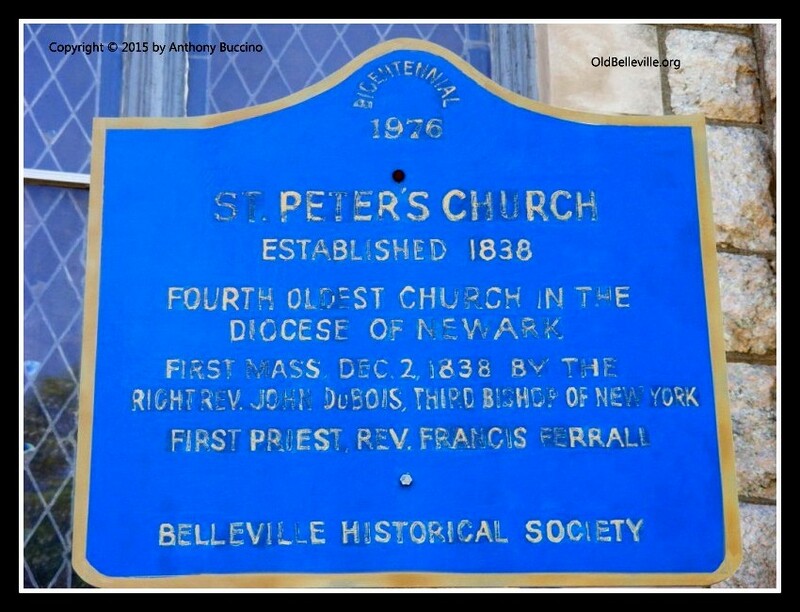 But now, From Belleville is rounding 3,000 members. And anecdotal comments say that anti-Facebook people have joined the group and people who don’t even have computers have heard about the group where people who lived here, or still do, share memories of growing up in Belleville, N.J.
Part of the push to From Belleville’s 3,000 members can be attributed to a multi-century rivalry with Nutley. 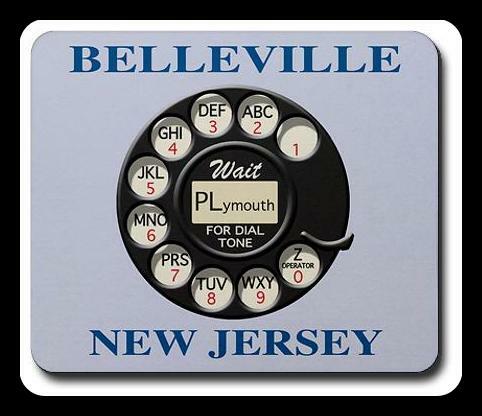 The You know you’re from Nutley N.J. when was also a dormant little group on the social media giant -- that is, until they got wind that From Belleville challenged them to see who reached 3,000 members first. A week ago Monday, both groups that I founded in late 2008, had about 600 members and about as many posts. But, since last week’s challenge, From Belleville grew to 2,976 members with more than 5,300 posts, while Nutley grew to 2,651 members with more than 4,300 posts. And it’s still going quite strong despite the fact that new group members tend to repeat and start new posts for topics that have already been discussed. In Belleville, some of the hot topics that keep reappearing are the time the small plane crashed in to the high school on July 21, 1967, a murder at a car dealer on Washington Avenue, on Sept. 9, 1978, Jackie’s lemon ice, and favorite and least favorite teachers. The School 3 fire, the A&P fire, St. Peter's fire, long-gone bowling alleys, the neighborhood bookie, the Belleville-Nutley football game, smoking in the school bathroom and getting caught, streaking and a hundred other words all start the memory mill grinding out fine memories. How long will the two groups continue to grow? We might as well ask how long does it take for every fond memory of growing up in our town to appear in a post at least once. Then, you’d have to add X for the unknown number of times a new member will recall, The Fountain and Parillo’s around the corner, and other places unmentioned stir the broth. Member Robert Weitzel says From Belleville is like group therapy. Someone else says the members read like a who's who of Belleville. Others find they can't stop reading the posts and comments and find the site addictive. So many people remember the live Christmas display at the Auriemma’s home off Belleville Avenue. Others remember the Knoll off Smallwood Avenue, or a big trip across the river to Two Guys From Harrison when some department stores were closed on Sundays. Guys remember playing street hockey behind DeWitt Bank, others at School 3. Some fellows remember Giants football players who lived in town. And it’s the simple things that many remember, such as after school visits to Harriet’s, or Harry’s or for a treat to eat on the way home. Then there was the rare treat of food being delivered, “don’t cook tonight, call Chicken Delight.” Who would have ever imagined mom not cooking our dinner? Well, in the 1950s and 1960s, it was very common. And one simple mention of Plymouth-9 gets everybody waxing sentimental over, of all things, old phone numbers. 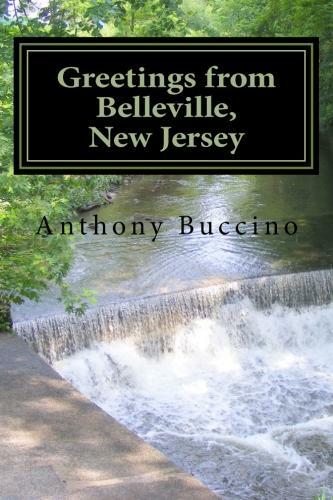 If, by some chance the 3000 or so members of From Belleville, or the From Nutley crowd, too, get bored with all the posts about so many great things growing up in the sister towns, they are just a click away from scores of photos that also can rekindle a million more memories of Old Belleville and Old Nutley. A lot of us remember TV shows from the 1950s and 1960s. And when we connect with neighbors we haven’t seen since those days, all the years in between disappear for a while. One of my favorite shows in the 1960s was My World And Welcome To It. It was based on the humorous writings of ‘celebrated wit’ James Thurber whose work I remember reading in Belleville Junior High School. From Belleville and From Nutley each take us on a dreamy journey through the past, like Thurber’s cartoons and the William Windom series. It’s not a bad place to spend a hot summer night. Be aware, the groups are addictive and you might find yourself trying to comment on every single post because so many or our memories of growing up are ignited by the same ember, be it a silver milk box, a street name, or spotting an old friend’s name. 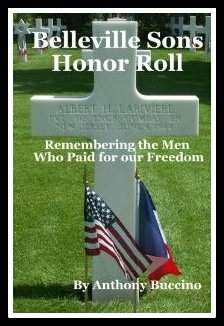 First published on Belleville-Nutley Patch, Aug. 1, 2011. Remembering our town one bit at a time! Check out these Jersey boys.